Stock status is current as of 4/22/2019 10:42 PMET. Barracuda Networks provides cloud-connected security and storage solutions that simplify IT. These powerful, easy-to-use, and affordable solutions are trusted by more than 150,000 organizations worldwide. 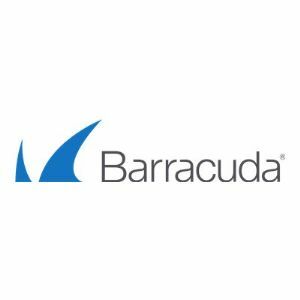 Barracuda's expansive product portfolio delivers protection against threats targeting email, web, and network intrusions, as well as products that improve application delivery, network access, message archiving, backup, and data protection, on-premises or in the cloud. Barracuda's high-value, subscription-based IT solutions provide end-to-end network and data security that helps customers address security threats, improve network performance, and protect and store their data.